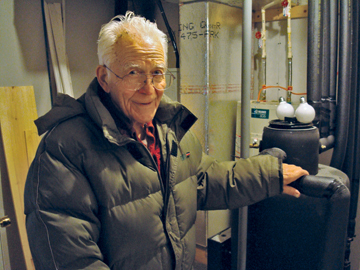 Sam Ashelman ’37 wants to produce factory-built houses that will be heated geothermally. Temperatures linger in the teens when I visit Sam Ashelman at his home in Berkeley Springs, W.Va. Powder speckles unforgiving ground, but deep inside the frozen earth flows Ashelman’s source of warmth. The whole mountainous landscape visible from his living room used to belong to Ashelman, composing Coolfont Resort, a 1,300-acre wilderness retreat he long owned and which he sold in 2005. A prostate problem had confined him to the hospital for eight months. “My family gave up on me, almost, but I fooled them and got better,” he says. Ashelman is motivated by principle and by profit. On the latter point, the businessman says: “If you make the money, you can give it away.” On the former, he is preoccupied by carbon dioxide emissions and global warming, and sees geothermal heating as part of the solution. In discussing the possibility that leaking heart valves could compel him to cut work way back, he recites a phrase—“working toward a better world”—he’s used to characterize his life’s work. It’s precisely how he described his work operating Coolfont, a center for RE+Creation, not recreation, in another interview with me, seven years before. “I’m reluctant to quit right now because I think we can take a step toward a better world, by doing these factory and geothermal combinations,” Ashelman says. “If we are successful at getting Wal-Mart to help us sell these and then recruit some smart Swarthmore graduates to sell these houses to ordinary people, we’ll have a good money-making machine here,” he says. He needs a few good people first. “I need a good sales manager. I need a good accounting department, you see. I need a good group of people who can put the house together,” he says. 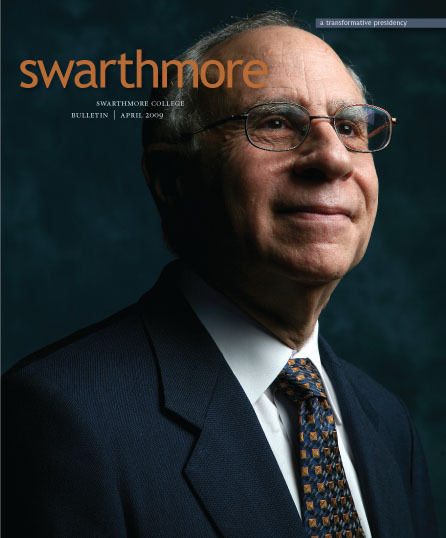 “I’m not going to resign my position at Swarthmore and join this company and see if it works out,” Everbach continues, but he has, per Ashelman’s request, been on the lookout for good graduates to send his way. On this January day, Liz Sutton—Ashelman’s secretary of five months—prepares lunch: thick New England clam chowder and grilled cheese sandwiches. Afterwards, we drive to see a four-bedroom, 3-1/2—bathroom, just-completed demonstration house, the third that Ashelman has built to be fueled by ground-source heat pumps. The three-story cedar house gleams with plenty of windows and sits on a wooded, two-acre lot in Berkeley Springs; it is newly on the market. “Live in the house of the future, today,” boasts a flyer. “And here’s the dance floor,” Ashelman says, as we descend the stairs into a large room with a shimmering hardwood floor that, indeed, invites a dance. The house’s heat surfaces from five holes drilled 160 feet into the earth. Five pipes snake into the house, a “no CO2” zone. Ashelman is 95 today; by the time you read this, he will have turned 96. As we leave the home behind, he tells me he planted 75 arborvitae to block the view of the closest house uphill. And 100 daffodils too. 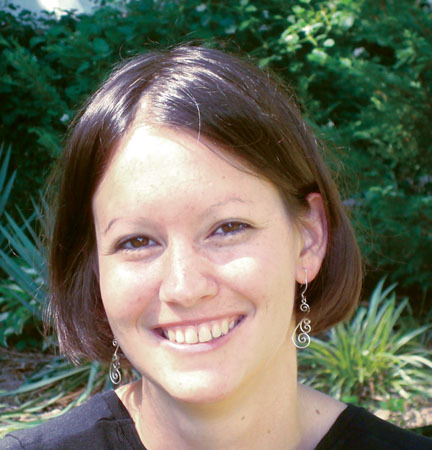 Elizabeth Redden ’05 is a reporter with InsideHigherEd.com in Washington, D.C., where she writes primarily on matters of international education and religion. Last August, she covered the 2008 Democratic National Convention in Denver. An honors English literature major and psychology minor, she spends much of her free time writing and reading nonfiction, in all its many forms.